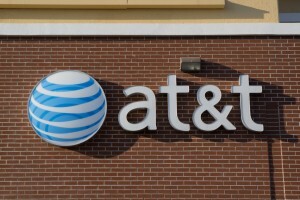 AT&T has taken one of its first significant steps towards the IoT-centric world, announcing a new tie up with IBM Watson focused around Industry IoT. The partnership will make use of AT&T’s footprint in the enterprise market and the artificial intelligence platform of IBM Watson, to help customers move towards the much promised and early awaited proactive business model. Collecting data has never been a problem for organizations around the world, but deriving actionable insight which provide tangible benefits to the business is a complicated equation. The initial idea of the digital economy brought about the idea that data was the new oil, which is true, but using it is another matter. Most companies have mountains of data with no clue what to do with it. Once crude oil is extracted it has to be separated and refined before it is useful, the same can be said about data. This is possibly the reason big data has been a buzzword for years, yet little progress has been made to date; the raw materials were there, but the science to make any use was not. The answer here is data analytics driven by powerful artificial intelligence solutions. IBM’s Watson is regarded by some to be one of the most advanced AI solutions currently on the market, and the hope from AT&T is that it will enable customers to derive business solutions from the mined data to make near-real-time decisions to improve operations. The proactive business model is one which is a potential gold mine for enterprises around the world. A prime example is predictive maintenance strategies. Take the oil and gas industry for example, by collecting data from thousands of wells around the world, the AI component of the system can learn what the conditions are prior to a failure, subsequently assigning maintenance and repair teams or the site before the failure impacts operations. Or, should a repair team not be available, the workload could be reduced to prologue the time before failure should occur. A proactive maintenance strategy can improve performance over the course of the year, as well as removing unnecessary inspections, which in the example of the oil and gas industry can be very expensive. The idea is not new, but the science to make the idea a reality is just ready to hit the mainstream.